When you are considering keeping an inherited home from a parent and need to borrow money to buyout siblings or beneficiaries, it is important to make sure that it makes financial sense to do so. To assist you in doing so, we created the Commercial Loan Corporation Trust & Estate Loan Benefit Calculator. Our trust and estate loan benefit calculator will help you quickly and easily determine if it makes sense to apply for a Proposition 58 exclusion from reassessment and take out a trust or estate loan. The loan benefit calculator compares your property tax savings to your estimated loan expenses and determines approximately how long it will take to recover those costs. If you plan on keeping the home longer than it will take to recoup the fees, then the loan is of benefit; if not then it would make more sense to not conduct the loan. For any additional assistance or to begin the Trust or Estate loan process, please call us at 877-464-1066. Trust and estate mortgages provide liquidity to an otherwise illiquid trust. This cash infusion to the trust or estate allows for an even asset distributions to be made. The equal distribution of a trust or estate becomes critical when one of the beneficiaries or heirs wants to take advantage of California Proposition 58 (parent to child property transfer) and benefit from an exclusion for property tax reassessment. Depending on the property’s current value, the parents assessed property tax value and the property tax rate; doing so could mean a savings of thousands or even tens of thousands of dollars annually! Here is an example of how it works. So if an equal distribution of the trust or estate can be made allowing for the child inheriting the property to qualify for the Proposition 58 exclusion from property tax reassessment, the savings in property taxes can be significant! When it comes time to take out a trust, estate or probate loan, you have a few options and choosing the right private money or hard money lender may save you potentially thousands of dollars in fees and expenses! In almost all cases, Trust and Estate loans are intended to be short term financing options. The lender provides the trust or estate with cash, the assets of the trust or estate are distributed equally, and the beneficiary or heir files for the parent to child exclusion from property tax reassessment. Once the exclusion is granted, they are then able to refinance the trust or estate loan with out jeopardizing the low property tax rate that was transferred from the parent. Since these are short term loans, many of our competitors have chosen to charge prepayment penalties to make additional income on the loan. 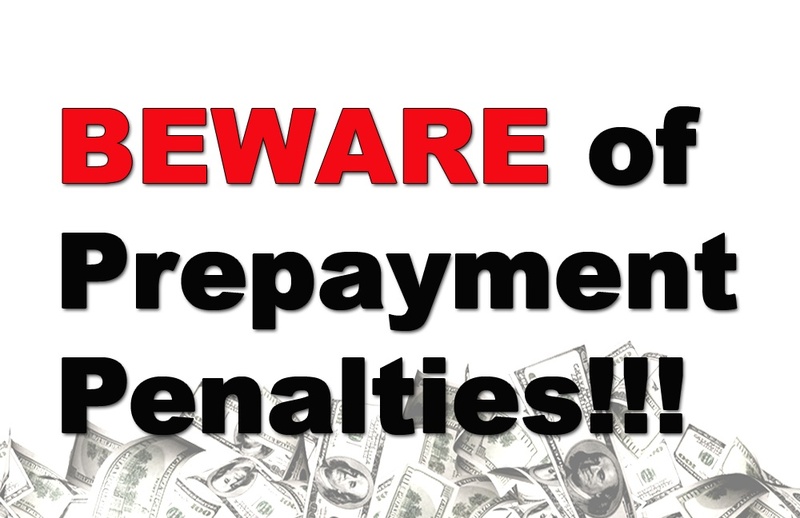 Worse yet, some trust and estate lenders will disguise their prepayment penalty by referring to them as minimum required months payments or set a minimum amount of interest requirement. Depending on the loan amount, those prepaid or required interest charges could add up to several thousand dollars. Commercial Loan Corporation charges NO prepayment penalties and has NO minimum interest requirements. Instead we do our best to provide you with flexibility when it comes to paying off your loan. In fact we will even recalculate your monthly payment for you if you pay down your trust or estate loan mortgage balance, allowing you to save on interest payments! To learn more about trust and estate loans and why Commercial Loan Corporation is your best option when it comes to a trust or estate mortgage, please call us at 877-464-1066 or complete our trust and estate information request form at www.cloanc.com.